1. 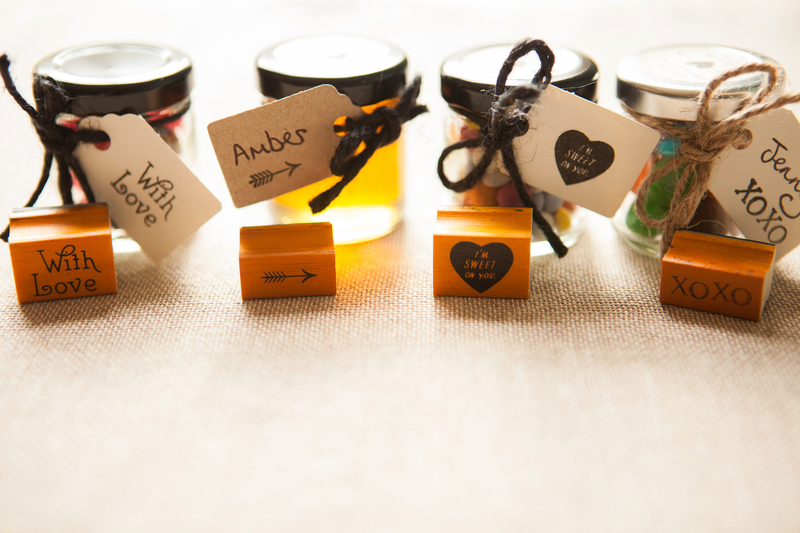 Homemade favours. Fill little pots with jam, honey, sweets or flower seeds and then use these cute little stamps (£12 for 15, Wedding in a Teacup) to add a personal touch to the tags. Get your besties round to help you stamp! 2. 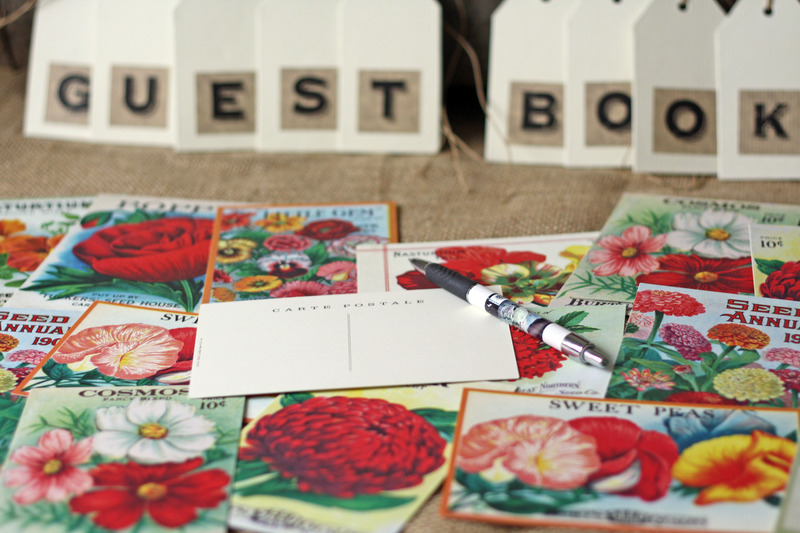 Postcard guestbook. Style up a table and lay out these vintage botanical postcards for everyone to write on (£11 for 18, The Wedding of my Dreams) – you can then frame them when you get home to keep as a memento. Cute. 3. Bake off! 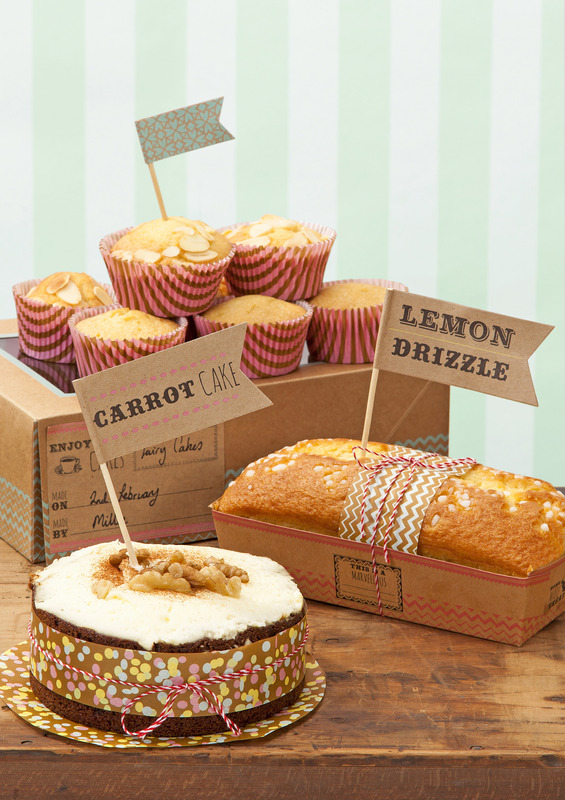 We know this is a controversial one, but ask your guests to bring along a cake to your wedding. Seriously, don’t worry about feeling rude – we went to a wedding last year where we were asked to bring along a dish and the result was amazing! All the guests went to so much effort and it really made the day. Lay out blank flags for people to write on so that everyone knows what’s on offer, or buy pre-written ones (Talking Tables have a selection from £4). 4. Creative chair backs. 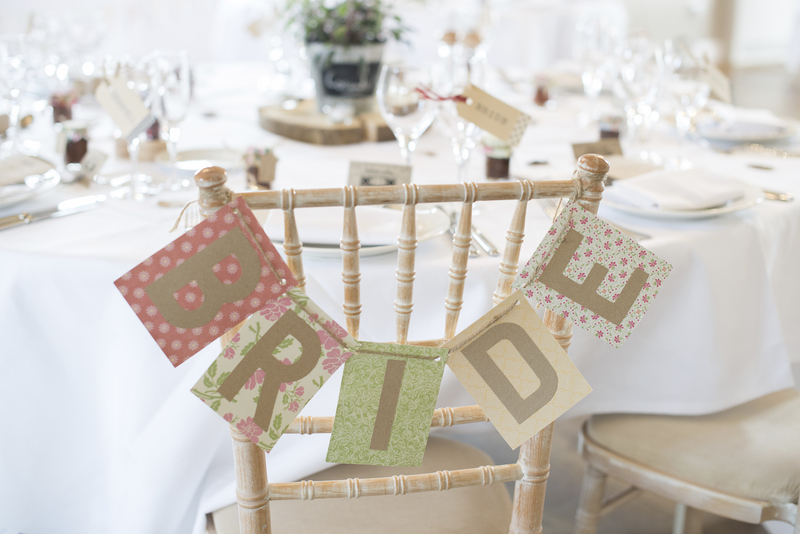 If you’re hiring out chairs, go for the mismatched look – and forget about chair covers! (BTW if you’re looking for a hire company, we love Virginia’s Vintage Hire) Making your own chair backs adds a bit more personality, but don’t attempt to make them for everyone unless you have A LOT of time of your hands! Maybe just make them for your wedding party. We love this idea from a real wedding shot by Weddings By Nicola and Glen… so easy yet super pretty.